AS CHARMING: As all air-cooled Porsches may be to drive during the day…with a few Porsche guys on staff here at TRS, we know just how bad the stock headlights on any pre-993 era 911 are. 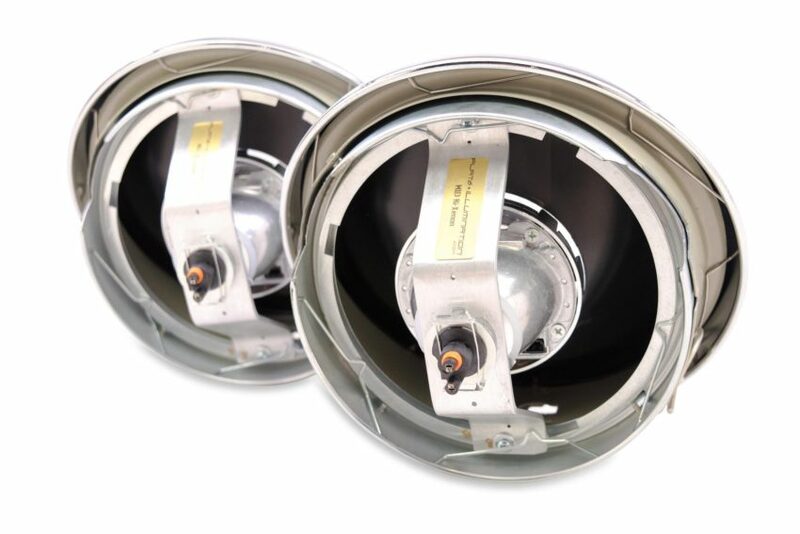 With that, we are proud and excited to offer the best forward lighting upgrade money can buy to Porsche enthusiasts for their classic air-cooled car! OFFICIAL! We are an official Rauh-Welt Begriff sponsor! 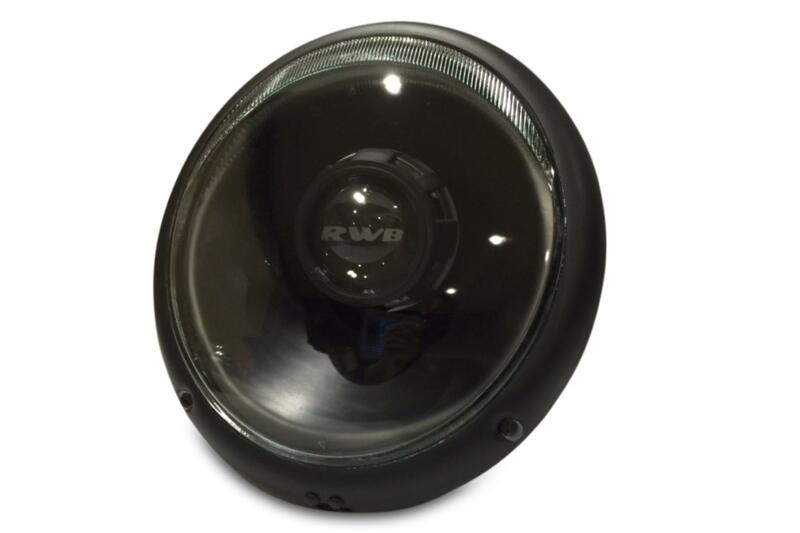 The Flat Six lights have already found their way onto many RWB 964’s with our help. If you’re part of the club, inquire about special pricing on the Flat Six Bi-xenon headlights for your wide-body Porsche! 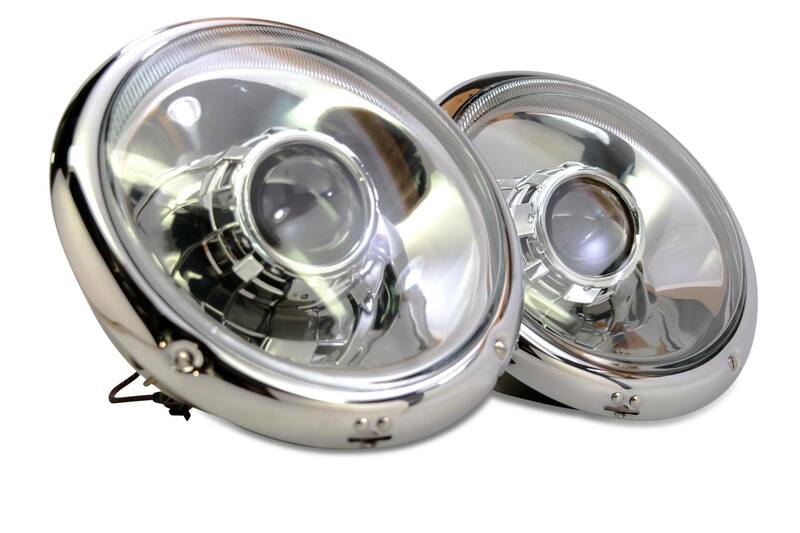 MODERN: No kidding, these headlights will literally out-perform the $2000 bi-xenon option on the latest Porsche 991. 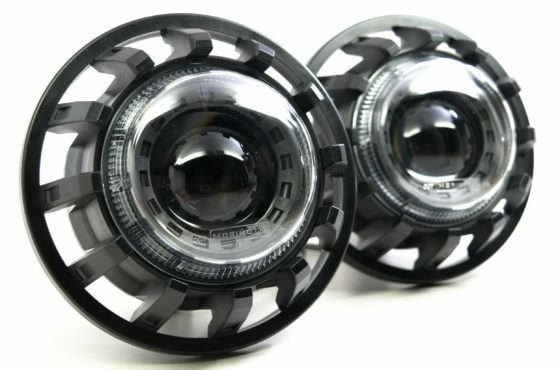 They’re designed around the latest bi-xenon projector from Morimoto and produce an extremely wide, extremely bright, and perfectly distributed beam of light in low beam mode. Their bi-xenon high beam opens a literal flood gate inside the projector to illuminate a virtually unlimited range of road ahead. BUILD-TO-SPEC: Their simplistic design was inspired by the headlights that Singer Design builds for their half-million dollar Porsche restorations. We take it a step further and allow you to customize options such as the interior and exterior trim color, the style of the outside glass lenses, and even engrave the projector lens with something that’s special to you (Porsche, 911, RWB, you name it!). PLUG N PLAY: With the included Bi-xenon relay wire harness, everything will be plug-n-play after removing your stock headlights. 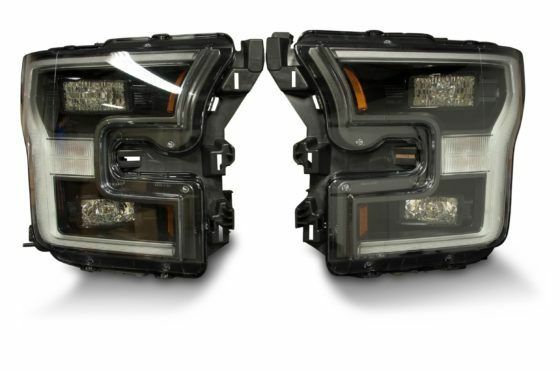 No cutting, splicing, or complicated re-wiring is required to translate the signals from your factory headlight harness to control the new bi-xenon system. 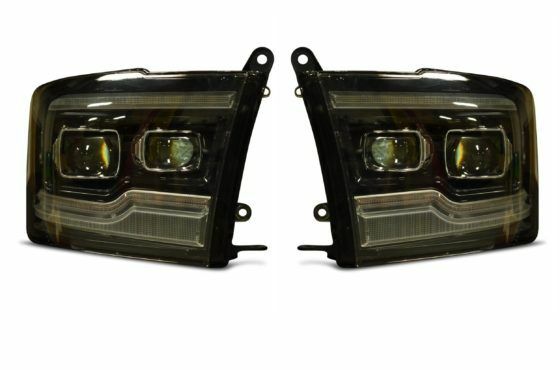 NOTICE: Since these headlights are built according to each buyer’s individual requirements, they take 10-14 days to deliver. 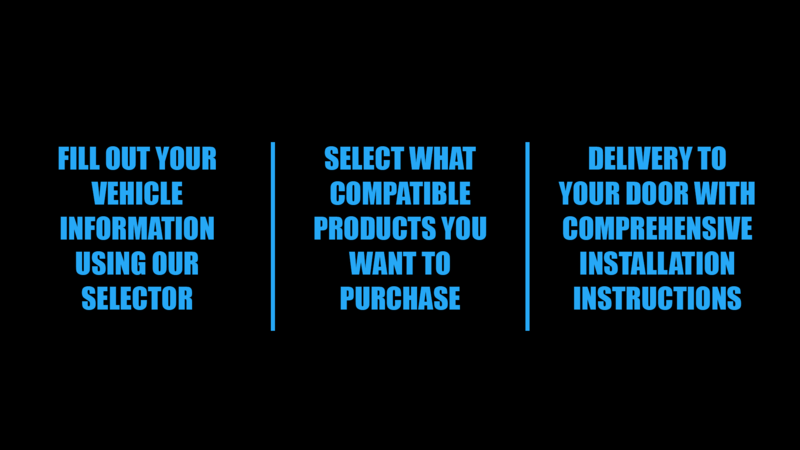 Once your order is finalized, it cannot be changed, nor are these eligible for return. Thankfully, not many kids can afford air-cooled’s these days, so we thank you for your patience and understanding in advance!